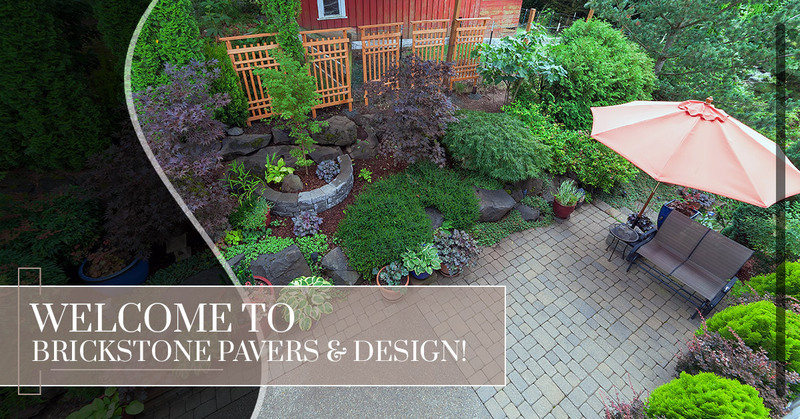 Paver Designs New Orleans: Welcome to Brickstone Pavers & Design! Here at Brickstone Pavers & Design, we specialize in custom paver design, from walkways, patios, driveways, to custom fire pits and custom outdoor kitchens in the New Orleans area. We work diligently to create your unique paver design to your specifications, rain or shine. Our number one priority is taking care of our customers. Below, we’ll explain a bit about the services we offer and what makes Brickstone Pavers & Design different from the other guys. Call us today! Brickstone Pavers & Design loves to create the brick paver patio or concrete paver walkway of your dreams. No one likes to come home from work and have to carry in groceries through the mud. And on those long, hot summer nights, a stunning patio paver where you can sit, drinking a cold one, and watch the stars come out, will chase away the summer heat. You probably use your driveway at least two times a day and probably more as you enter and exit your vehicle driving to work or dropping off the kids at school. It’s important to have a smooth, beautiful driveway paver that will enhance the value of your home and make it easy to maintain. While you’re outside sipping your cold one on a hot, summer night, why not sit around a custom paver fire pit by Brickstone Pavers & Design? Enhance the mood and relieve some stress as you relax with friends and family and roast marshmallows. The pine scent of the wood will lull you into a dream state and make you never want to leave your custom paver fire pit. A custom outdoor paver kitchen will make entertaining at your home a snap. We can incorporate grills, sinks, and mini-refrigerators in your custom design and even add on a bar for the perfect night with family and friends. You’ll never have to have another birthday party at someone else’s house when you have the coolest custom kitchen paver in the neighborhood. Once word gets out, you’ll have to fend off the neighbors who won’t want to ever leave your backyard. Whether you’re looking to add a tier to your garden or to level out an uneven surface in your yard, a paver retaining wall will add value and beauty to your home. A retaining wall holds soil back and looks beautiful no matter what material you choose, from concrete pavers, cement pavers, or slate pavers. Whether you need a paver retaining wall across your whole back yard or a small paver retaining wall around your outdoor pond, Brickstone Pavers and Design is your go-to paver installation company. Looking to DIY landscape this summer? Brickstone Pavers in New Orleans has got you covered by offering Bobcat rentals for your outdoor landscape design needs. From demolition to professional grading and leveling, Brickstone Pavers and Design will help you with the equipment and with all of your paver installation needs. Brickstone Pavers & Design puts customers first. Period. If you’re not satisfied with the paving installation or custom pool design, we’ll make it right with no questions asked. Details matter, and we make sure every stone is perfectly laid and looks smooth and matches your landscaping. We have a stellar track record with hundreds of satisfied customers. You can see samples of our recent projects on both our website and on our Facebook page. We are competitively priced and insured. Our installation and maintenance is warrantied. With years of custom paver design, Brickstone Pavers & Design can help you choose the right paver material for your paver job. We are efficient and timely. Brickstone Pavers & Design offers the best custom paver designs, all in-house. Whether you need stonework or drainage in the New Orleans area, we’re the paver company to call. Reach out to us today for your custom paver design!